An easy recipe for a tangy lemon cake with a sweet vanilla or almond glaze. It’s incredibly moist and tender, but still secretly skinny! Multiple times each week, I ease my car into a parking spot and tuck my cloth grocery bags under my arm before dashing into Trader Joe’s to stock up on staples. After nearly a year, my list permanently etched itself onto my brain: bananas, Brussels sprouts, spinach, eggs… I quickly navigate through the store, deftly weaving in between other leisurely browsing customers, and always end my trip by standing in the shortest line with the best selection of dark chocolate bars. Last fall, that particular cash register was usually operated by a tall college kid with long brown dreadlocks. Full of positivity and smiles, he energetically asked each customer how they were doing and whether they had plans for the evening. On one rather busy afternoon, I replied that I set aside a few hours to bake muffins and 2 types of cookies. After I answered, he responded, “Well if you need a taste tester, I’m here ’til 10!” with a huge grin on his face. I laughed, agreeing to stop by again if the treats turned out nicely, but… I jinxed it with my promise. None of those baked goodies tasted decent enough to share! A couple weeks later, I finally perfected the recipe for my toffee coffee cookies, and after devouring half the batch, I packed up the rest in a zip-topped baggie and slid them into my purse. Over at TJ’s, I handed the cookies to that employee along with the cash for my produce purchases and watched his eyes light up like a toddler’s on Christmas morning. I laughed as he stared at them. “What flavor are they?” he asked. When I responded, he bounced up and down in a makeshift happy dance, while his jealous coworkers begged for a taste. It turned out everyone there adored coffee! He then walked around the counter and buried me in a huge bear hug before I left with my groceries. But since that October afternoon, I hadn’t ever seen him there again, and my slightly paranoid mind started to worry. What if there’s some rule against taking stuff from customers? What if he was fired all because I gave him cookies?? As the weeks and months dragged by, I gradually began to forgive myself for him losing his job, and I stopped thinking about the incident whenever I pulled into the parking lot. This past Saturday morning, I begrudgingly canceled my morning run due to the gruesome windy storm blowing through the West Coast, loading up my bags and heading over to TJ’s for my biweekly shopping spree instead. As I waited in line for the sweet girl to ring up my groceries, I glanced up at the employee station and did a double take. The dreadlock kid stood there with his back to me, chatting with the store manager! He didn’t get fired! I didn’t make him lose his job after all! 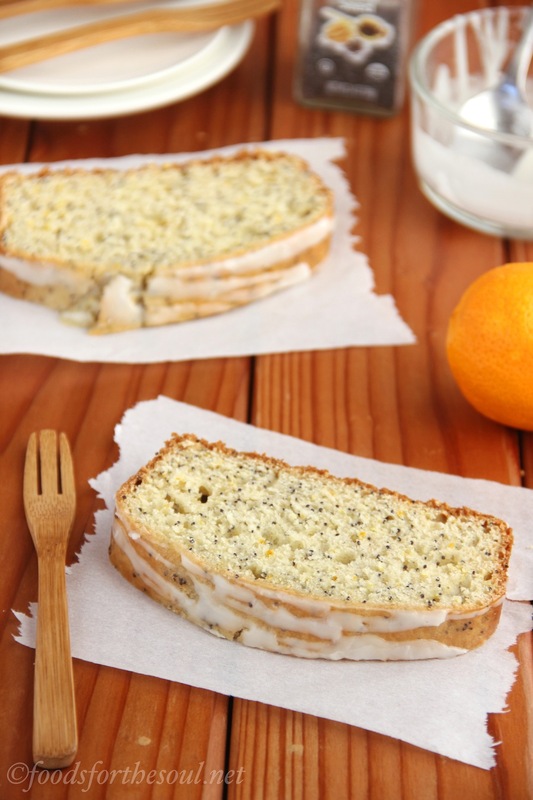 That one fleeting moment—simply spotting the dreadlock cashier—completely brightened my rainy day, much like the sunshiny flavors in this Lemon Poppy Seed Loaf Cake. Full of fresh tangy notes, this citrus dessert even boasts a sweet almond glaze, giving it a highly sophisticated taste despite being astonishingly simple to make! I polled the FFTS Facebook page last month, asking what types of cakes you enjoyed baking. I basically received the same response from everyone: you save layered cakes for special occasions and prefer easy, one-pan cakes for everything else. So that’s exactly what I created—a simple loaf cake baked in a standard 9” x 5” pan. And you don’t even need to pull out your electric mixer for any of it! I loaded lots of lemon flavor into this low fat cake. You’ll use both lemon zest and lemon juice. The zest actually provides most of the flavor, while the juice reacts with the baking powder to keep the cake light and airy. Make sure you use fresh lemons; the flavor of bottled lemon juice or lemon extract tastes more artificial. 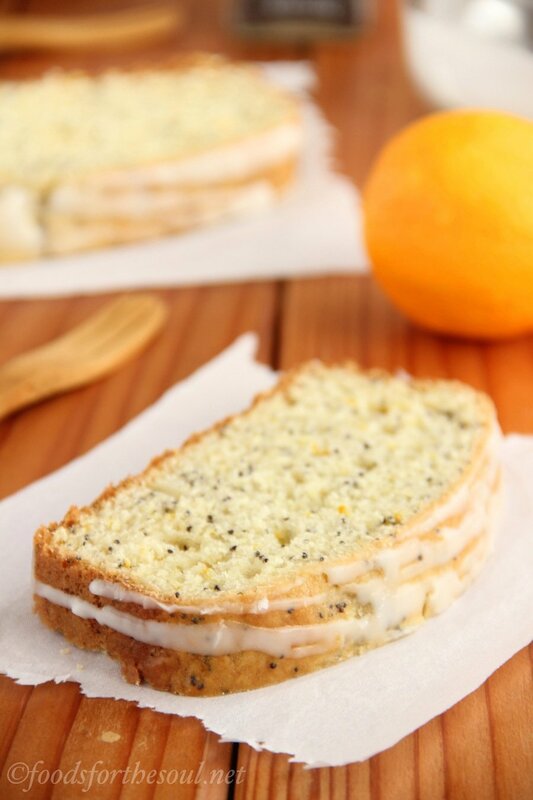 After my childhood love affair with lemon poppy seed muffins (they were the only flavor I’d ever eat! 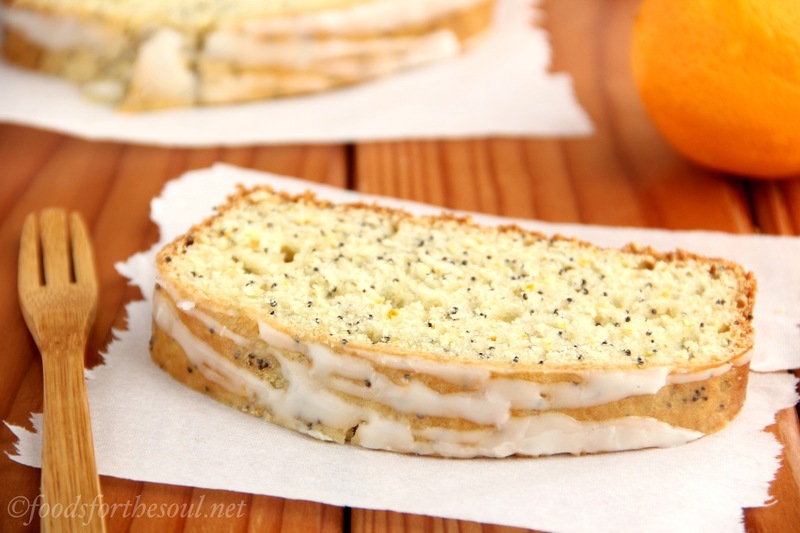 ), I always add in plenty of poppy seeds to my citrusy baked goods. The loaf looks so cute with their tiny blue speckles! 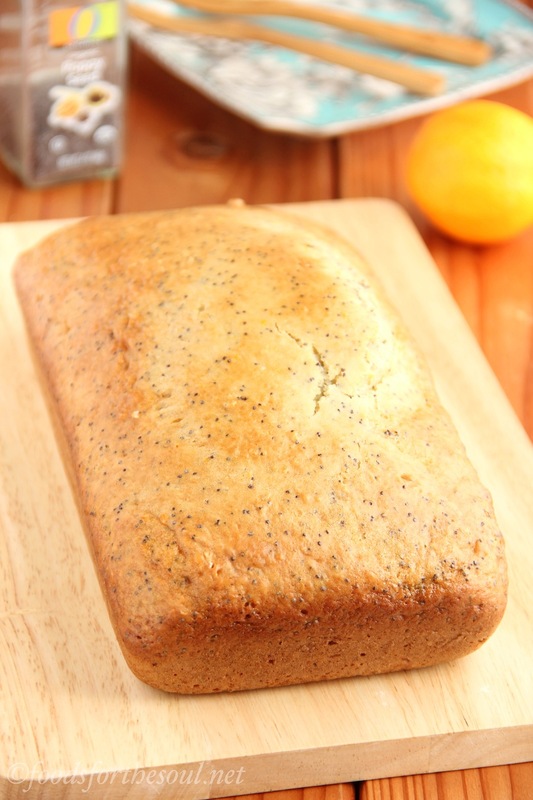 They also add a subtle earthiness to balance out the bright lemon, but if you aren’t a fan, feel free to decrease the amount of (or completely omit) the poppy seeds. To lighten this lemon cake, I only mixed in 1 tablespoon of oil. The rest of the tender texture comes from Greek yogurt! A true powerhouse in low fat baking, it contributes tons of moisture without the excess fat and calories. 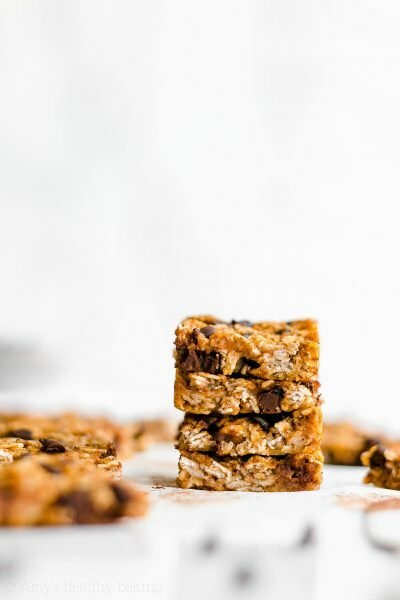 (It also adds a little extra protein too, so I sneak it into almost all of my baked treats!) If you don’t have Greek yogurt, regular yogurt will work just fine. Like a stereotypical cake recipe, mine requires you to alternate adding the dry ingredients and milk to the egg mixture. Alternating additions is mandatory. This reduces the chance of over-mixing the batter, which would over-develop the gluten strands and turn your cake tough. So let’s avoid dry cake! Simply stir in 1/3 of the flour mixture until just barely incorporated; then gently mix in half of the milk. Repeat again, and finish off by folding in the last 1/3 of the flour. This easy method ensures your cake stays light and airy every time! After popping the pan in the oven, come back and check on it after about 30 minutes. Sometimes loaf cakes brown a little too quickly on top, and the bottom hasn’t cooked all the way through by the time the top looks done. If that happens to you, pull out the pan and place a little tin foil tent over the top before sticking it back in the oven to finish baking. As difficult as it sounds, you must let the cake cool completely before glazing it. 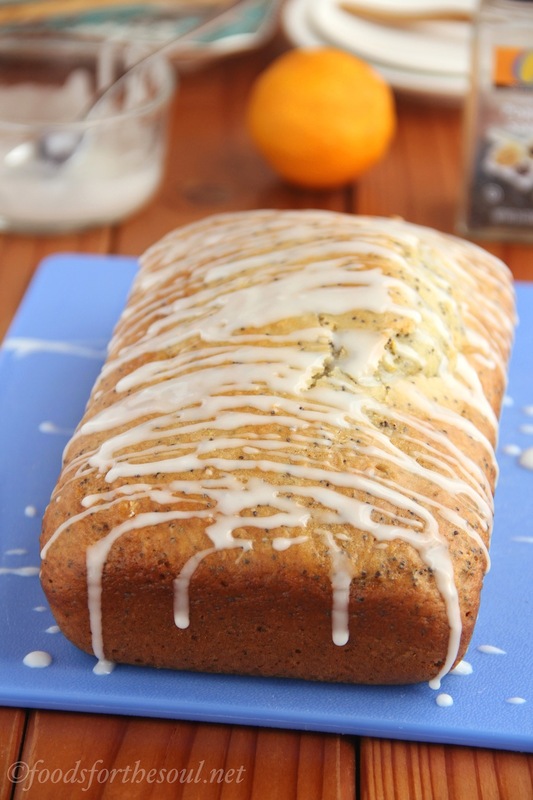 (Although to be honest, the glaze is optional… Without it, you could easily treat this loaf as a healthy breakfast slice!) I included options for both almond and vanilla glazes. While I prefer almond—it’s my all-time favorite flavor!—my guy absolutely hates it, so I drizzled his with the vanilla instead. 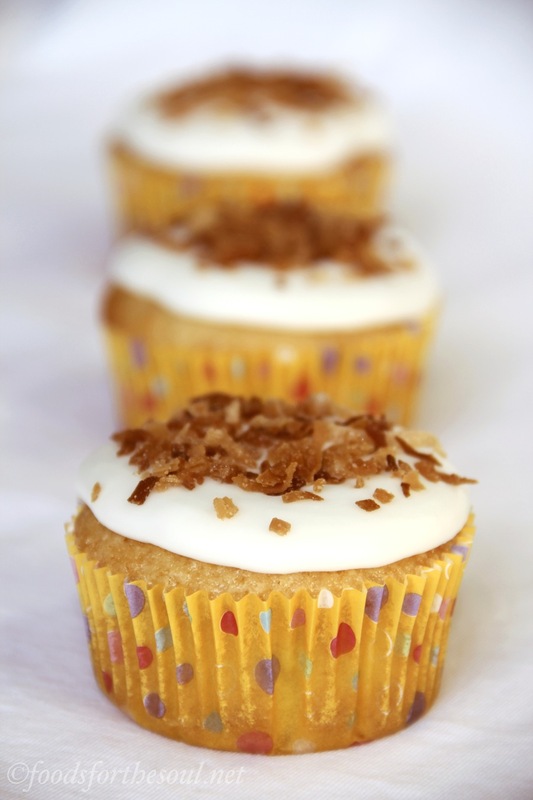 If you choose the vanilla route, use clear vanilla extract to preserve the glaze’s bright white color. Walmart sells a large 4 oz bottle in their wedding section for only $4! 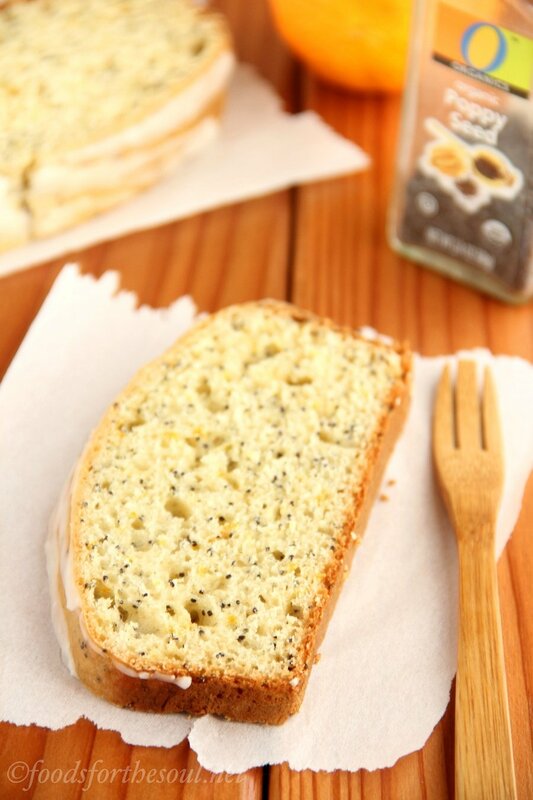 After all of your patient waiting and decorative drizzling, you’ve completely earned your reward: a thick slice of this skinny Lemon Poppy Seed Loaf Cake! The tangy citrus really sings in each tender bite, pairing perfectly with the earthy little seeds and sweet white glaze. 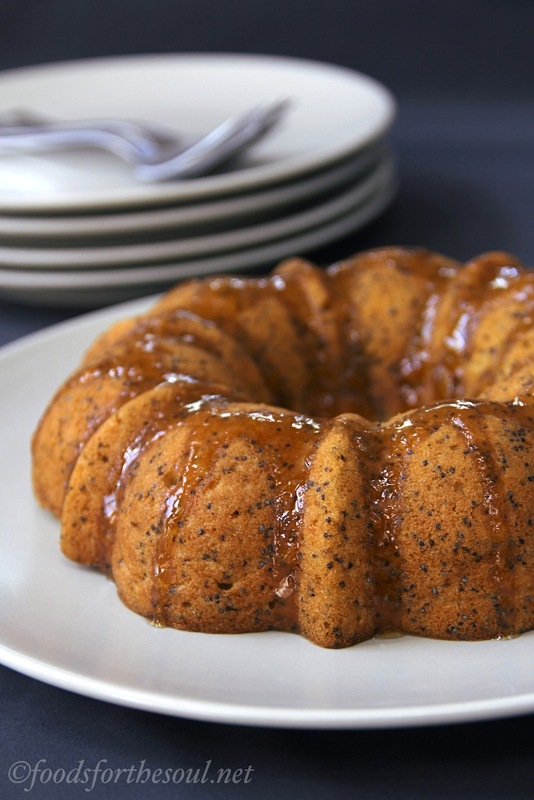 With its vibrant flavor and moist texture, this easy cake will always brighten anyone’s day! So you all know my guy by now… He basically avoids every dessert I bake, preferring candy like fruity gummy worms and colorful sweet tarts instead. The morning after this cake’s photo shoot, my guy wandered into the kitchen while I edited the pictures in the office. When I heard the quiet whisper of peeling open plastic wrap, I tiptoed down the hall to peer around the corner, spying as he carved off a huge 2”-thick slab. And he finished off the entire thing—every last crumb! That’s the biggest compliment I could ever ask for, and you better believe that it completely brightened my day too! *Note: Recipe updated on 4/22/14 to ensure the cake turns out a little moister, as requested by readers. Enjoy! 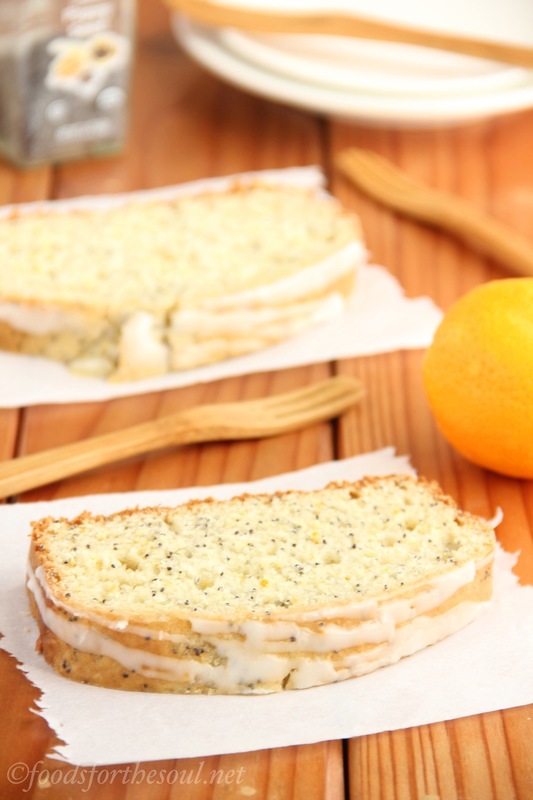 This citrusy cake is so easy to make but tastes incredibly sophisticated! 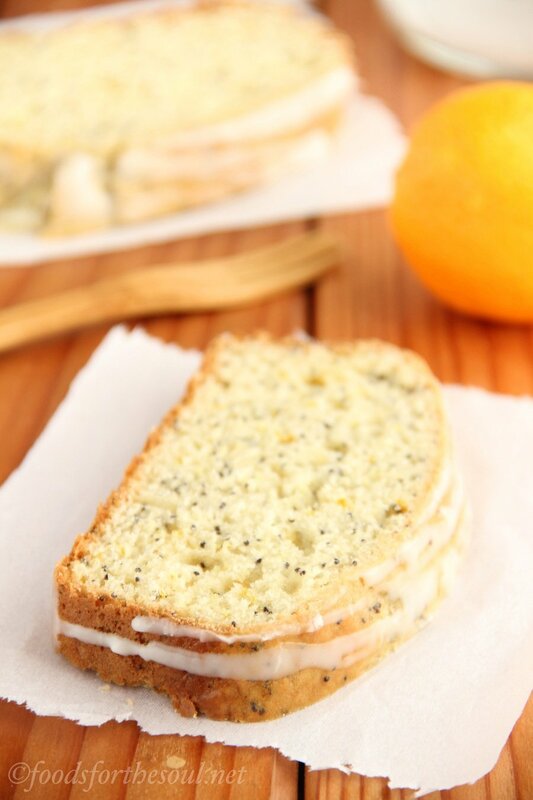 It’s full of bright lemon flavor with the perfect earthy touch from the poppy seeds. Store any leftover cake lightly covered in plastic wrap or tin foil for up to 3 days. Preheat the oven to 350°F, and lightly coat a 9x5” pan with nonstick cooking spray. Pour the batter into the prepared pan, and bake at 350°F for 40-45 minutes. If the top browns too quickly, cover the pan with a tent of tin foil after the first 30 minutes. Cool in the pan for 10 minutes before turning out onto a wire rack to cool completely. To prepare the glaze, whisk together the powdered sugar, almond extract, and milk in a small bowl. Drizzle over the top of the cooled cake. Notes: For a vanilla glaze, use the same amount of powdered sugar, and stir in ½ teaspoon of clear vanilla extract plus ¾ teaspoon of nonfat milk. Whole wheat pastry flour may be used in place of the all-purpose flour. 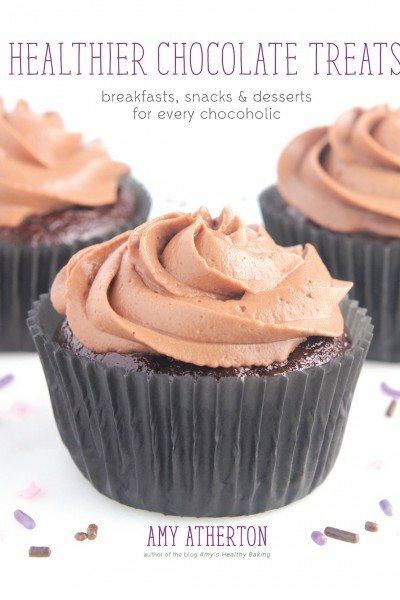 One reader reported that it's possible to bake these as muffins too! Divide the batter between 10 muffin cups lightly coated with cooking spray, and bake at 350°F for about 11-14 minutes, or until a toothpick inserted into the center comes out clean. Cool in the muffin cups for 5 minutes before turning out onto a wire rack. 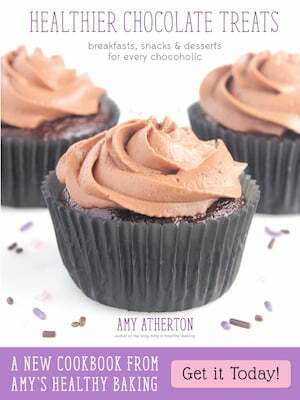 Hi Amy, I have made your slow cooker chocolate fudge cake 3 times, and it turned out amazing! I love how rich it tasted, with so little butter added. 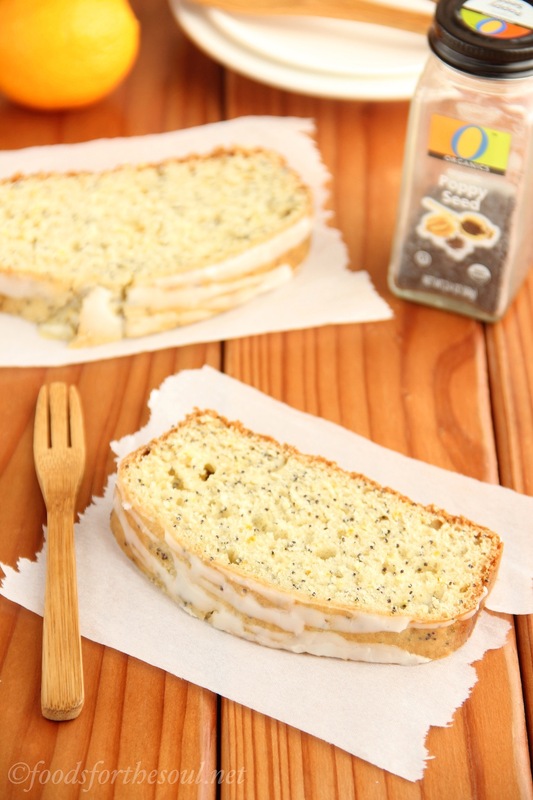 I was looking for a lemon cake version of that and stumbled on this recipe when searching your blog. Do you think this recipe would work in a slow cooker? Thank you so much for your kind words about my mug cake Kinny! I’m so glad you love it. 🙂 I think this should work in a slow cooker! I’d recommend “baking” it on low, and I’m not entirely sure how long it will take. It should be done when the center no longer looks moist and feels barely firm to the touch. I’d love to hear what you try and how it turns out! I made this in a slow cooker and loved how tangy it turned out. It was super rich with only 1 tbsp canola oil and the sweetness was just right. However, the slow cooker left this a little too wet, even with 2.5 hrs in a 3 litre cooker. I’d definitely make this again, in a regular oven. Thanks for your awesome recipes! Hi Amy, I made this in a regular oven finally :). It turned out too dry, though. I reduced the sugar to 112g and wonder if this would have caused the cake to dry out? Would it help if I compensated by adding more milk or lemon juice? Yes, reducing the sugar would be what caused the cake to turn out dry. If you add more milk, that would help to compensate for the missing sugar! Also, did you happen to use a convection-style oven? My apologies to Amy, but this was not tangy or moist. I made a lemon glaze which helped a little. That sounds disappointing Kathy. That’s not how the cake should turn out at all, so I’d like to work together to figure out what happened. What brand of Greek yogurt did you use, and what type of lemons? Did you measure the flour as instructed in the link in the Ingredients list? And did you make any substitutions, by chance? I used the lemons that grocery stores sell (usually there is only one kind), Chobani non-fat Greek yogurt and I did measure the flour correctly. One thing I did not do was alternate the milk and the dry ingredients as stated in your instructions (I did not see that until later). I used two small bread pans as I don’t want one large loaf. I did cut the baking time down, checking them every so often till they were done. Also, no substitutions were done. Hi Amy, Starting a new comment here because I couldn’t reply to your comment above. I used a regular oven with convection options (which I turned off). So the cake was baked with upper and lower heating elements only. Thank you for the advice about the milk, I’ll attempt this again. Thanks for your recipes :). You’re welcome Kinny! 🙂 I’ve actually found that convection ovens bake things more evenly, so I’d actually recommend trying it the next time you make this cake because it may help prevent the cake from turning out so dry. Commonly, convection ovens need to be set 25°F lower than the temperature called for in the recipe when using the fan — just something to keep in mind! 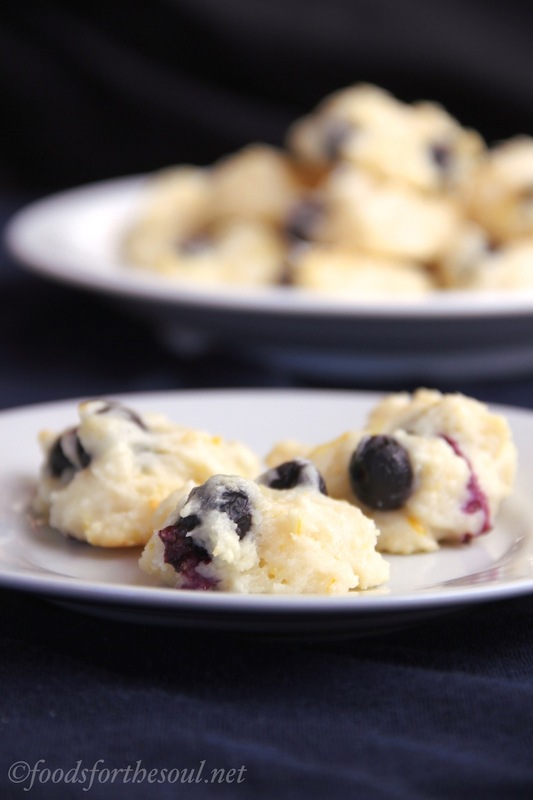 Hello Amy, I’ve literally just discovered your recipes and I’m already in love with them – planning to try baking this one and your blueberry-lemon bread recipe! I was just wondering, would it be possible to substitute the white sugar for honey or another type of sugar? Thanks! I really appreciate your interest in my recipes Simona! That means so much to me! 🙂 Brown sugar would be the best substitute for granulated sugar in this recipe. Coconut sugar would be my next recommendation (although that’ll turn the cake a light brown color, rather than pale yellow.) 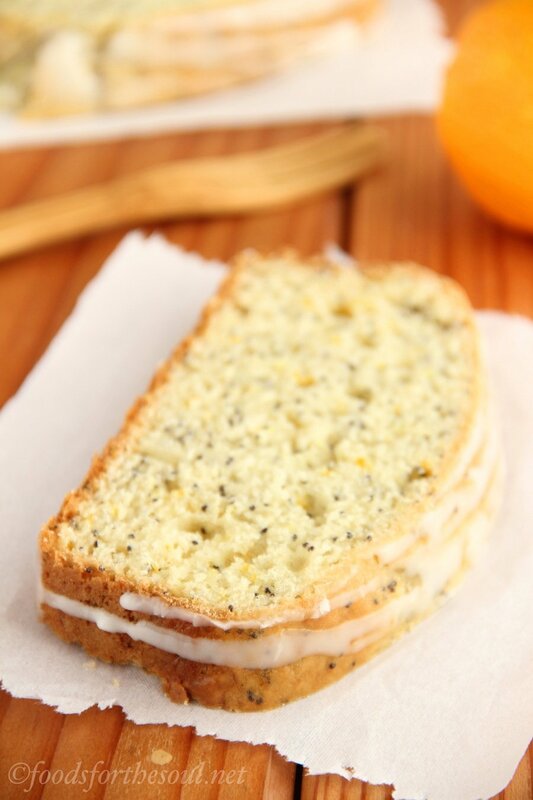 Otherwise, I recommend trying this lemon poppy seed cake recipe of mine instead, as it calls for clean-eating friendly sweeteners already. 🙂 I can’t wait to hear what you think of these treats!! A month without baking?? You must have a lot of patience Simona… I’d go crazy if I had to wait that long to bake anything! 😉 I’m excited to hear what you think of the treats next month!! I was so disappointed to see this was made with regular flour and sugar. How is that healthy? I have a version that isn’t made with all-purpose flour and granulated sugar here! Perhaps that’ll be more to your liking. 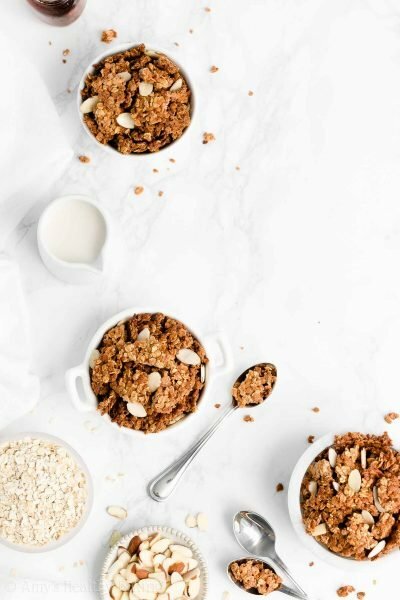 🙂 (When I first started my blog 8+ years ago, I wasn’t aware of “clean eating” or what it meant, so my much older recipes do include some ingredients that I now try to avoid. 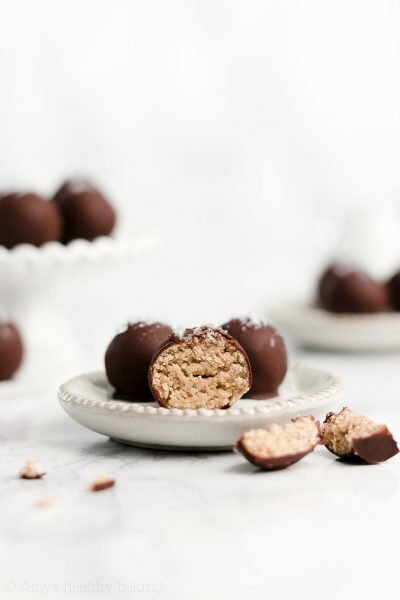 You just happened to find one of those older recipes that I haven’t had the time to go back to and modify yet! 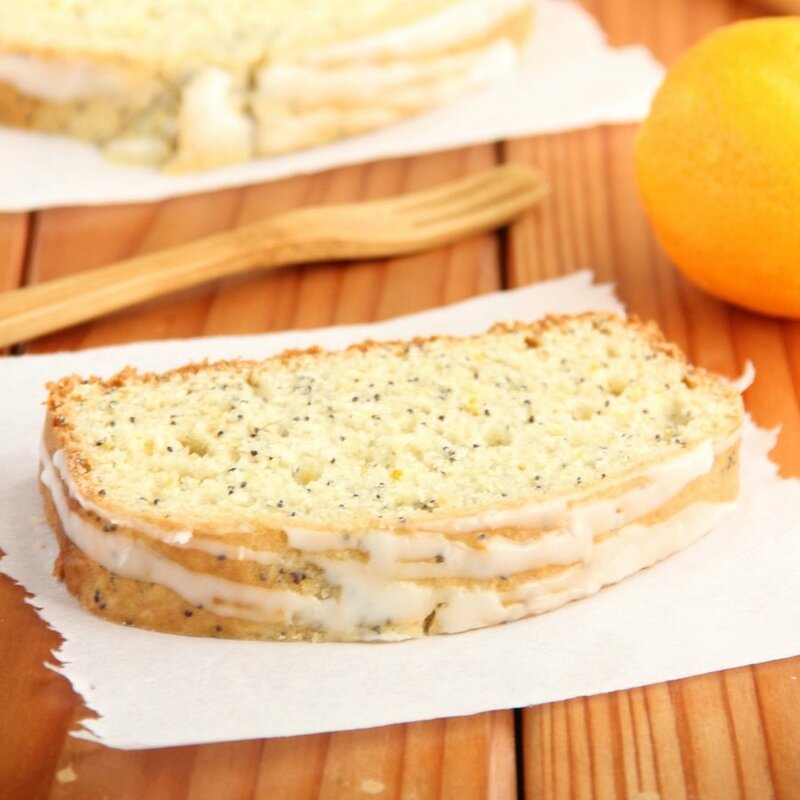 😉 ) I can’t wait to hear what you think if you try my other lemon poppy seed cake recipe Robin! Thanks Amy. Still made with regular flour and we eat low carb. I’ll try other recipes on your site. I’m going to try your Lemon Poppy Seed cookies however, that are low carb. Best to you! It’s my pleasure Robin! 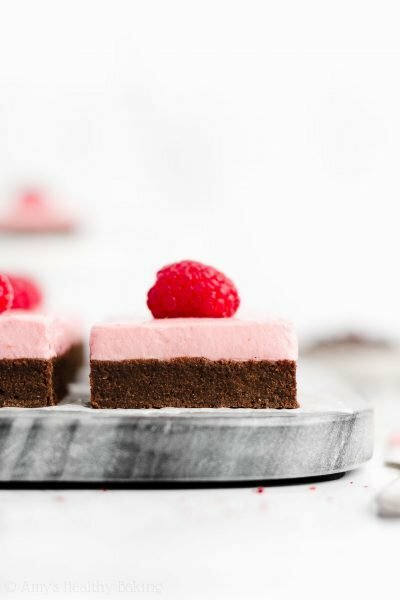 If there are other recipes of mine that you’d like to make low carb, I’m happy to help you with those recipe modifications. Just leave me a comment on the particular recipe, and we’ll come up with a good solution! 🙂 I can’t wait to hear what you think of the lemon poppy seed protein cookies!